Music blasts out of Zaskia Botha’s portable hi-fi system in the pristine reception area of the University of Pretoria’s (UP) Facial Cleft Deformity Clinic on UP’s Prinshof Campus, as patients wait to be attended to by its staff. It’s 9:30am on a Friday, the clinic is celebrating its 35th birthday, and there’s an air of festivity. Zaskia (14) cradles baby Ontatile Molapo, as she dances to music with him. Zaskia has been a patient of the clinic since birth and is so grateful for what it has done for her that she returns regularly to entertain other patients. 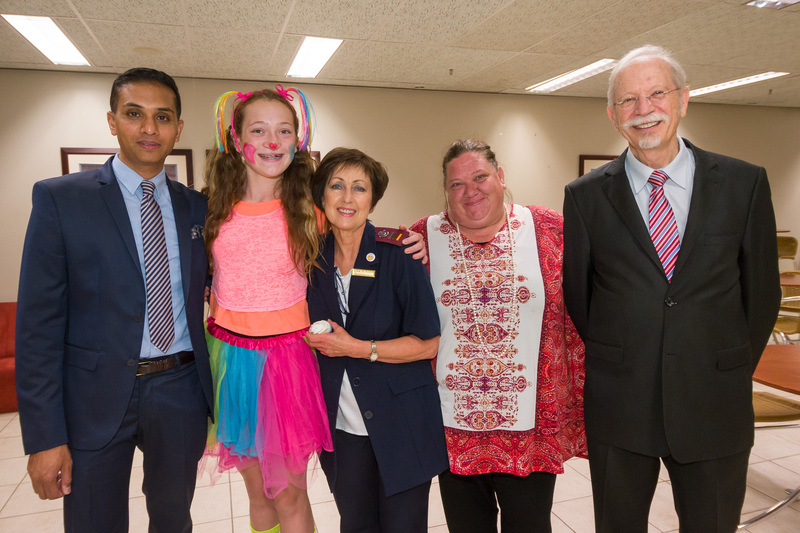 Her mother, Marie-Louise Botha, says when she was five months pregnant, Zaskia was diagnosed with cleft palate deformity and was referred to the UP clinic by a paediatrician in Nelspruit. “Zaskia had a unilateral cleft (her nose was open) when she was born, and she could not eat.” In utero this common birth deformity entails a child’s lip/mouth not fusing properly, causing a split in the upper lip or the roof of the mouth (palate), or both areas, creating complications in feeding and speaking. This affects the child’s ability to be integrated into society. This deformity can occur through inheritance or environmental factors. To fix the problem, the clinic, which is part of UP’s Department of Maxillo-Facial and Oral Surgery, conducted surgery on Zaskia when she was five months old; nine months old; 10 years old and 13 years old. The clinic was established by Prof Bütow more than 35 years ago, to “enable a more comprehensive treatment for this facial-oral deformity”. He says that had Zaskia not had treatment, there would have been an opening on her face (lip and nose) and mouth, as well as an opening between the oral and nasal cavity, causing severe speech impairment. Prof Bütow says, “Treatment starts as a baby and ends as an adolescent”. The clinic’s team is multidisciplinary, comprising community nurses, maxillo-facial surgeons, geneticists, orthodontists, speech and hearing therapists, and clinical psychologists. 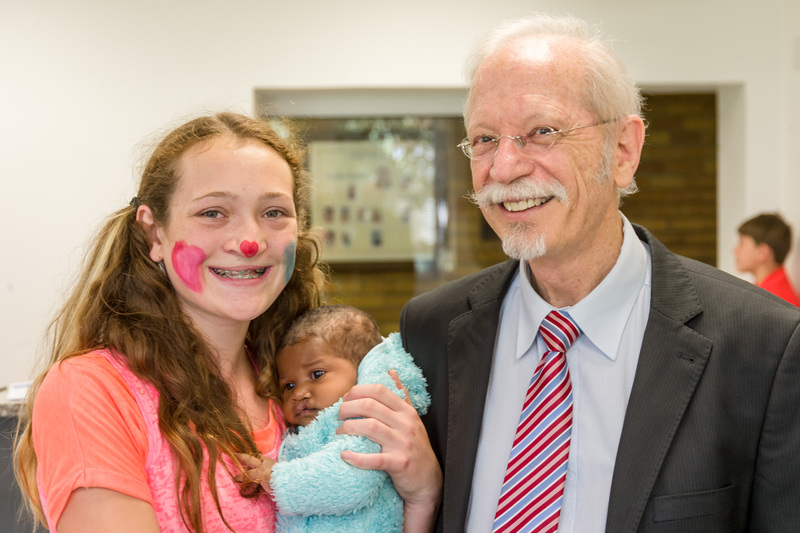 “I am struck by the enthusiasm of the medical staff who are part of the clinic,” Prof Bütow says. 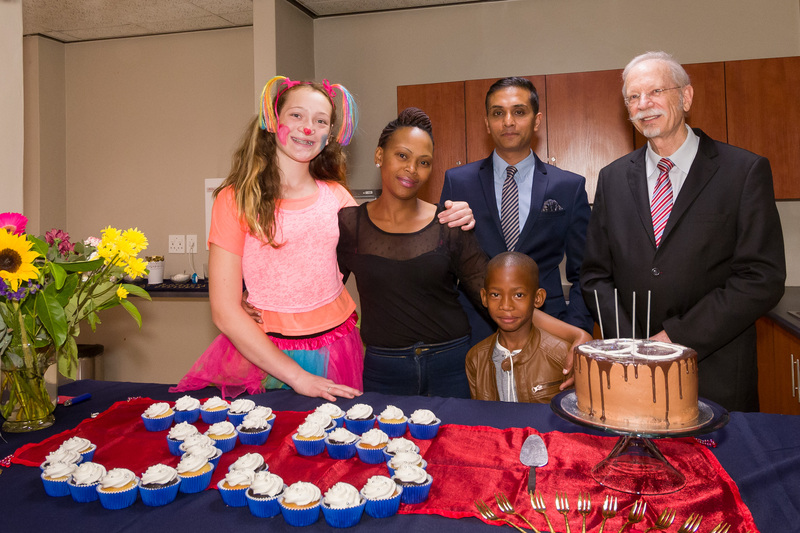 According to Cleft Surgeon and Head of the Facial Cleft Deformity Clinic Dr Sharan Naidoo, the clinic has treated approximately 4 900 patients over the past 35 years, making it one of the biggest multidisciplinary clinics in Africa. All members work cohesively to help babies and children with orofacial clefts grow and develop normally. Patients have a long-lasting relationship with the clinic: once surgery and other treatment is complete the team follows up with patients annually. The comprehensive treatment techniques implemented have led to drastic improvements in clinical outcomes, reducing the stigma of this deformity. Meanwhile, Zaskia, who fell behind on her developmental milestones as a child because of her deformity and was ostracised by other children, now attends Hoërskool Centurion after being home-schooled for two years. “I want to teach dance and languages,” she says with a smile. She’s also keen to entertain patients at the clinic despite being at a formal school. Zaskia needs further surgery to her nose, but thanks to the clinic’s work and her strong spirit, she has gone from a child with a speech impairment to one who is now a member of her school choir.